I cannot stress how happy pumpkin makes me. Pumpkin pie is my absolute favorite thing ever. If I had to choose a food that I would eat for my last meal if I knew I was dying…pumpkin pie. I have pumpkin pie as my birthday cake every year, and it kind of starts the pie season (being October 1st). Then comes Thanksgiving, my sister Amy’s birthday, Christmas (and then usually our delayed second Thanksgiving over the Christmas holiday break to make up for one of the siblings who may have missed out that year etc). Pie is a huuuge deal in our house. Anyways, pumpkin has become one of my absolute favorite things to bake with. I love the cinnamon-y warm deliciousness that goes along with using it. I love how it automatically makes me feel like Fall and Winter are near. 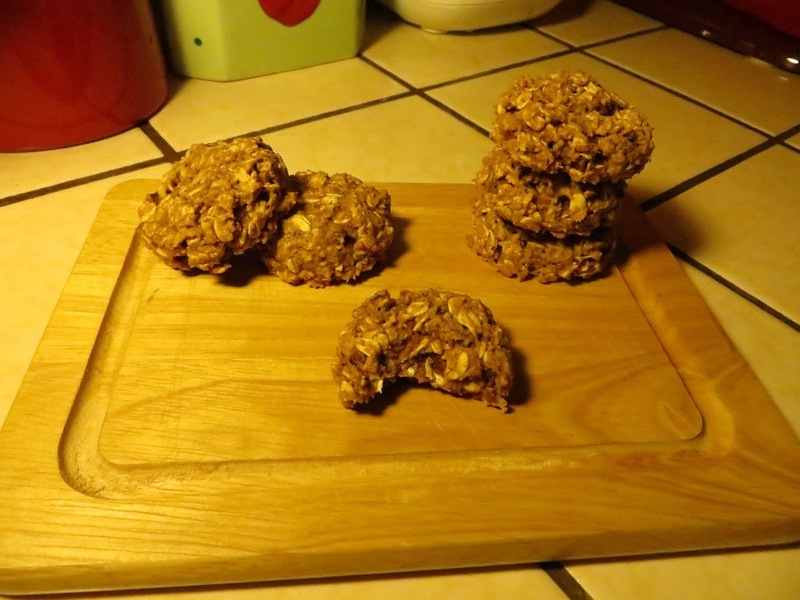 These cookies are a great option to bake the night before a week starts, they are midly healthier than other cookies (not very much butter), and are wonderful for this time of year. Love em! Oaty and spice-y. So much happiness. 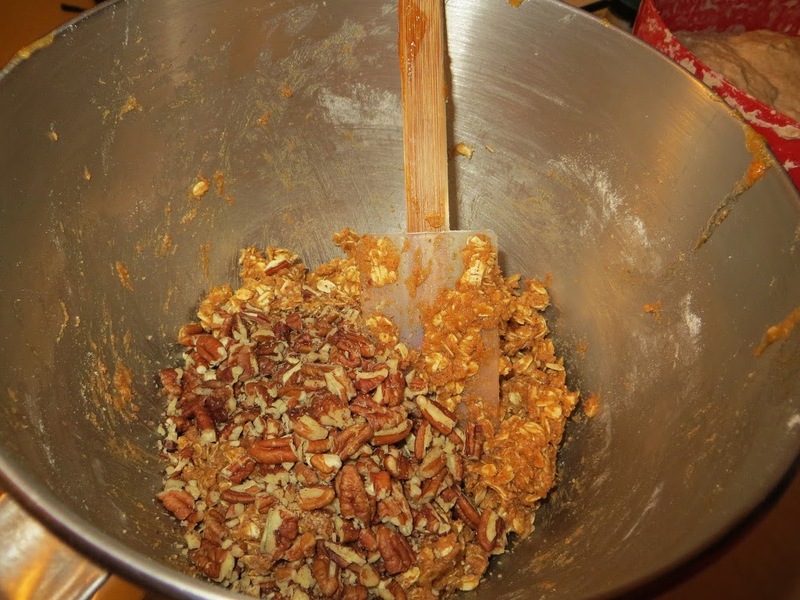 In a medium mixing bowl, mix together the flour, oats, baking powder & soda, salt, cinnamon and pumpkin pie spice. Set aside. 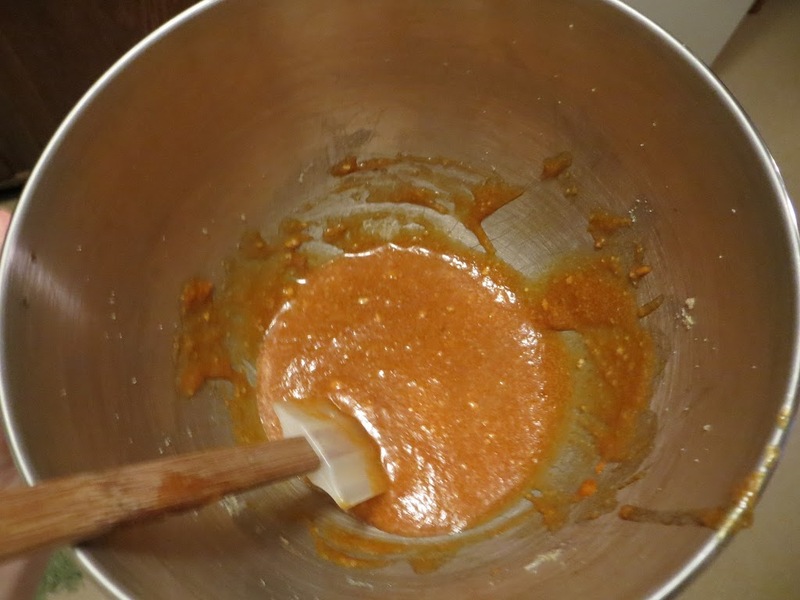 In the bowl of stand mixer, beat the butter and sugars together and until creamed. Scrape down the sides of the bowl with a rubber spatula. Add the egg, pumpkin and vanilla and mix until incorporated. Dump the dry ingredients into the wet, and fold in with a rubber spatula by hand. 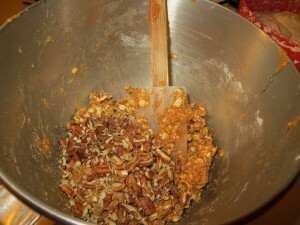 Once incorporated, add the pecans and mix in. 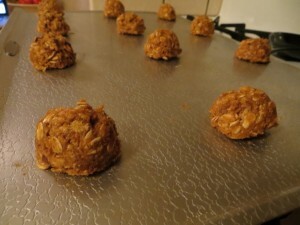 Using a cookie scoop, or a tablespoon portion out the dough. 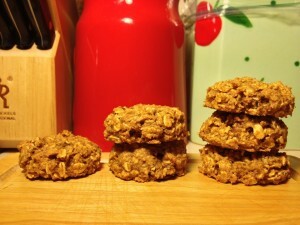 Use your fingers to press down the cookies slightly, and bake for 10-12 minutes. Wanna join the Cookie fun? Anything with pumpkin and pecans gets my vote except I will probably shock you by saying that pumpkin pie is not my favorite. Can we still be friends? It’s a texture thing, I think. 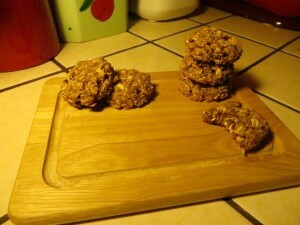 I love the way it smells though so these cookies would be perfect. Your cookies look scrumptious! I’m love pumpkin as well so this is a winner for me. 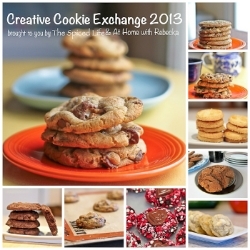 Thanks for co-hosting the Creative Cookie Exchange and sharing your delicious Back to School cookie recipe this month! Thanks for reading! 🙂 And thank you for letting me participate! So much fun! Pumpkin and pecans can only mean that fall is on its way, yum!! These look like delicious cookies! 🙂 Thanks Holly! Gotta love Fall! Brings so much fun and warmth in flavors for baking. I absolutely love this time of year because pumpkin is one of my favorite flavors. I do tend to buy cans of pumpkin like there is going to be a great pumpkin shortage, but I just couldn’t bare to run out, and it gets expensive later in the year. I am looking forward to trying these over the weekend. I definitely need to start stocking up again! 🙂 Thanks for reading Felice! These definitely are perfect for the theme of Back to School. I can’t wait to try them! Beautiful! Oooh these look delicious! Fall baked right into a cookie! What a great cookie for fall! Pumpkin is all the craze and I’m sure these are very popular with everyone who tries them. These look like my kind of cookie. 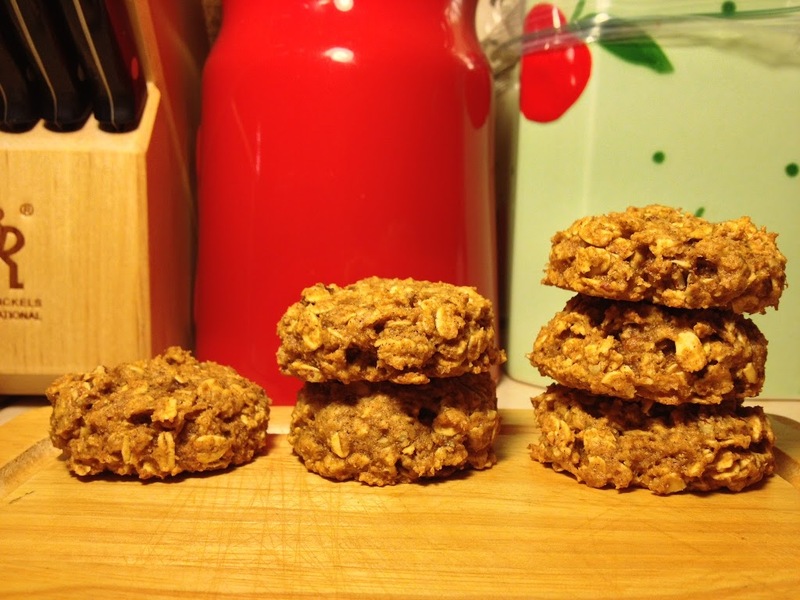 I am a huge fan of pumpkin oat cookies, and think they make a perfect back to school treat! Thank you so much for playing!